Designing luxury villas is more an art than a science. The art to induce personality of the home owner into each and every inch of the villa is an aspect, not every architect in India is an expert at. 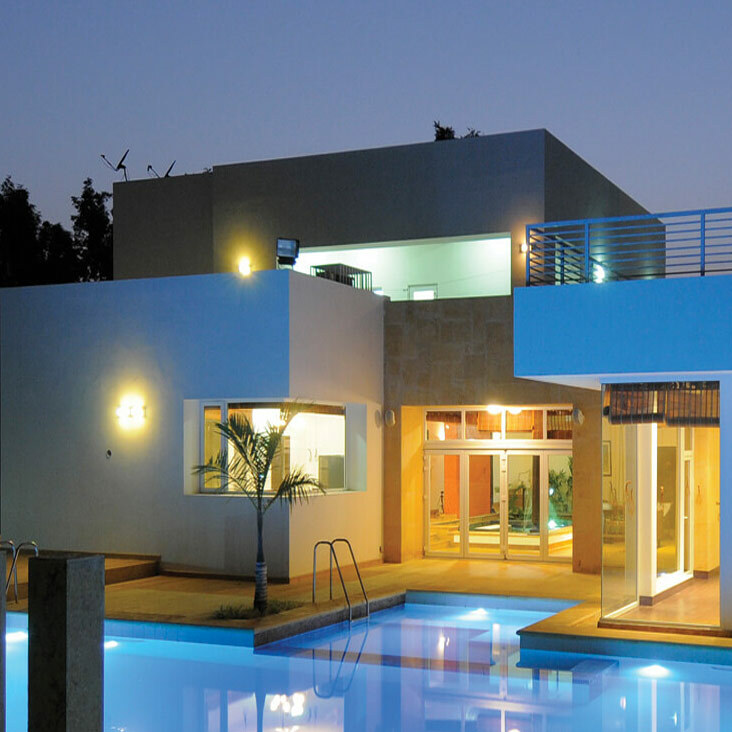 FHD Group over the years, has created a niche for itself by becoming a synonym for Villas Design in India. It is a fact that FHD Group is the only firm in India, who has designed more than 200 villas for various top-notch personalities of the country. The metamorphism of the personality of the owner into each and every space of the villa, introduction of various styling – classic, ethnic, contemporary, industrial, western, fusion of various diverse styles in terms of architecture is what the customers of FHD appreciate the firm for. The firm is also proud of its state-of-the-art interior design team, who then carry forward the styling into the internal spaces, with the right pick of paintings, accessories, wall décor, lighting etc that reflects the home owner and his/her aspirations and personality. FHD Group has also designed villa communities across India for various real estate firms, extending services in Master Planning, Architecture and Landscaping. Each of the community designed is unique, thanks to the extensive research undergone in understanding the user profile to a detailed level.